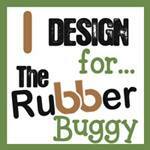 Nancy Hill for The Rubber Buggy Design Team. 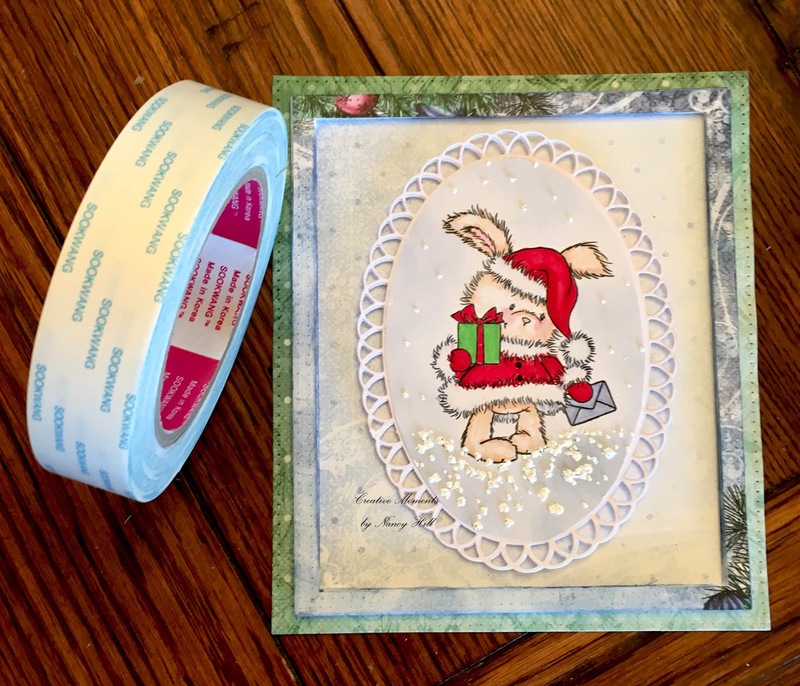 I am excited to share my Christmas card made with the wonderful products at The Rubber Buggy Design Store. I made a small tutorial on how I made the 3D frame. This technique can also be used to made shadow boxes. 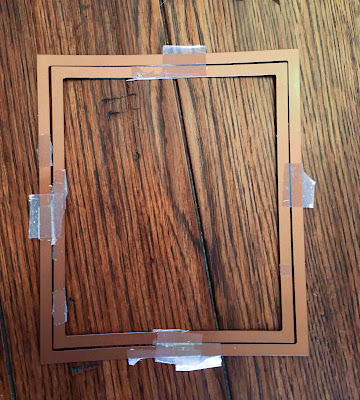 I tried other techniques of using 3D foam behind each rectangle frame but the 3D foam just was too large and difficult to cut out for the 1/2" frame border. 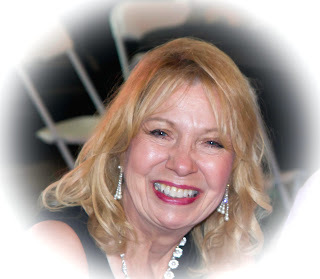 Tape two Spellbinder Nestabilities or Sue Wilson rectangle frames together as shown below. 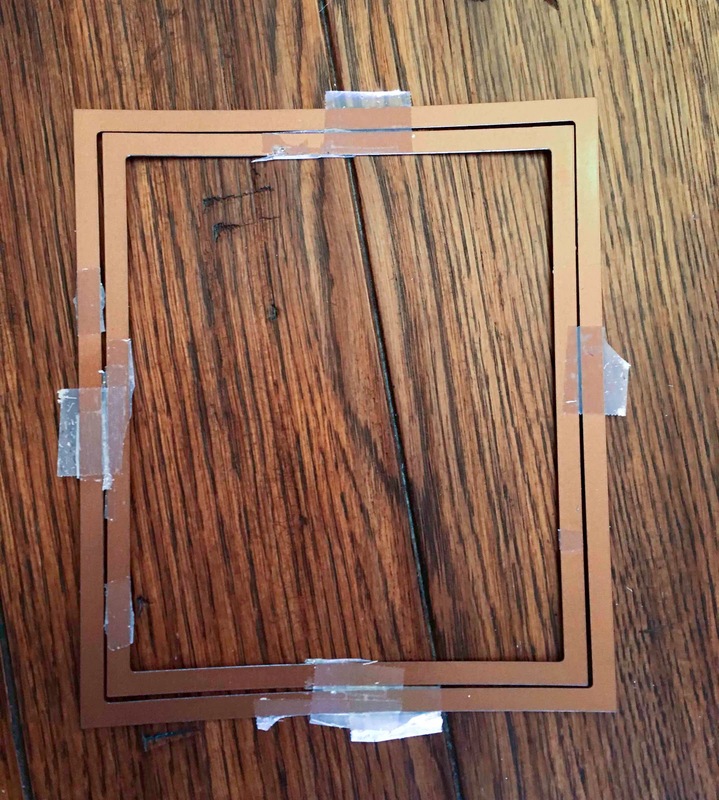 If you want a wider frame border, use the size larger and tape the two dies together. I like using heavy cardstock to cut out frames. This cardstock is 110 weight paper. I cut out four frames and my main frame that will be glued to the top. I used Aleene Fast Grab and Fast Dry glue rather than a hot glue gun since I didn't want the glue to dry too fast to align each frame on top of each other. If I wanted to do a deeper 3D frame, just cut out a few more and glue together. 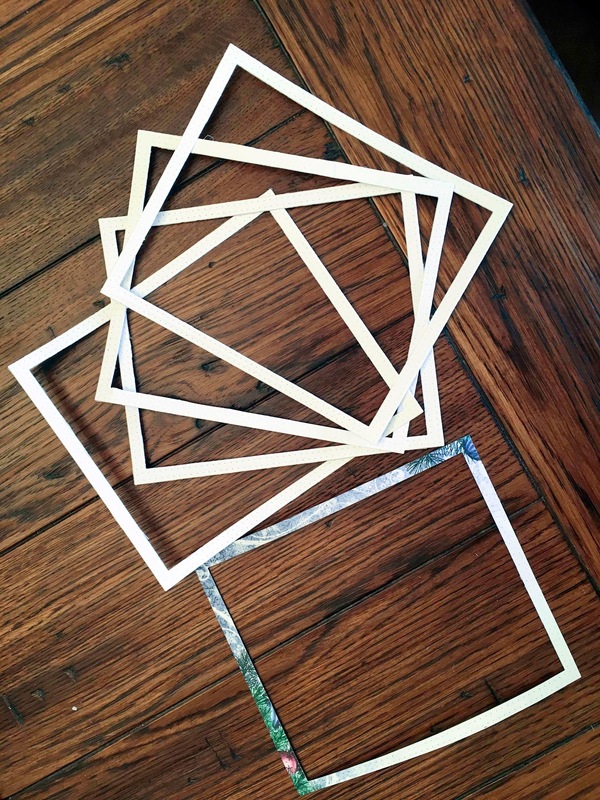 Glue the four frames and then the top patterned frame together. I applied blue ink inside and outside the frame with a sponge. As you can see below, the inside and outside frame color matches the top patterned paper frame. 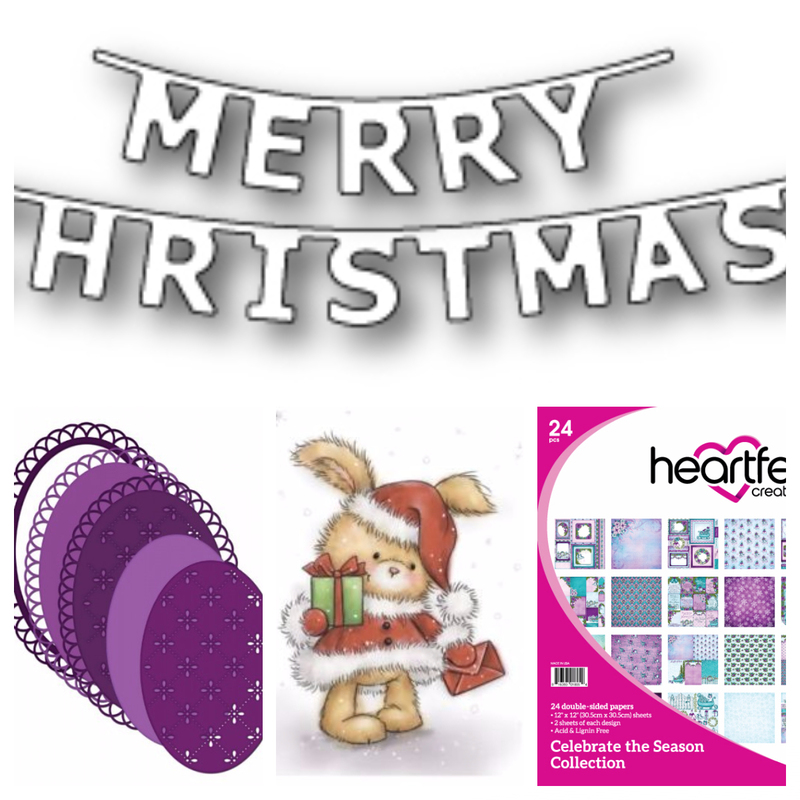 I like using the Scor-Pal Tape 1" wide to tape the picture behind the green Heartfelt Creations patterned paper. I use the same 1" Scor-Pal Tape to tape this to my folded cardstock. 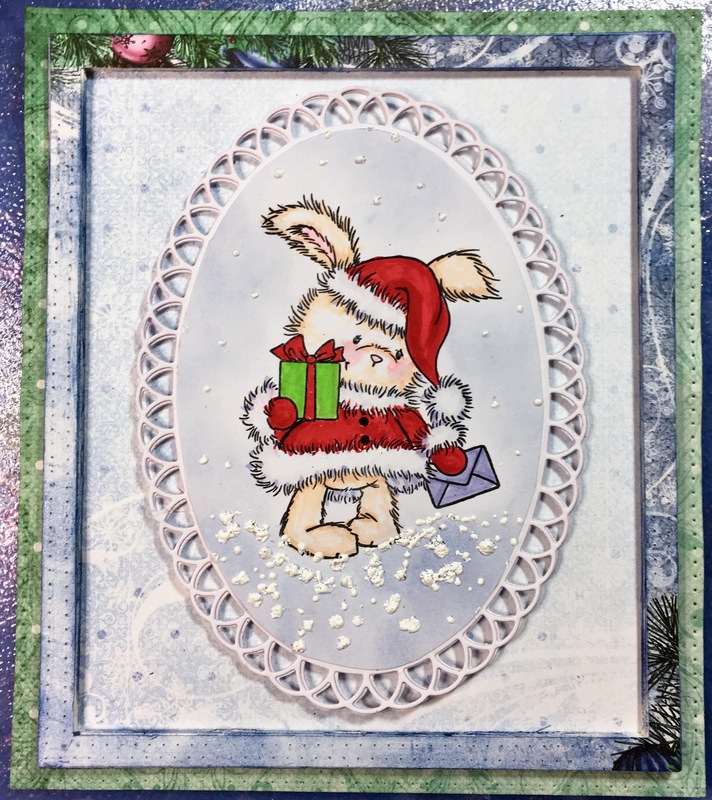 I colored the Wild Rose Studio Christmas Bunny stamp with Copic Markers and cut this out with the plain oval die in the Heartfelt Creations Eyelet Oval die set. 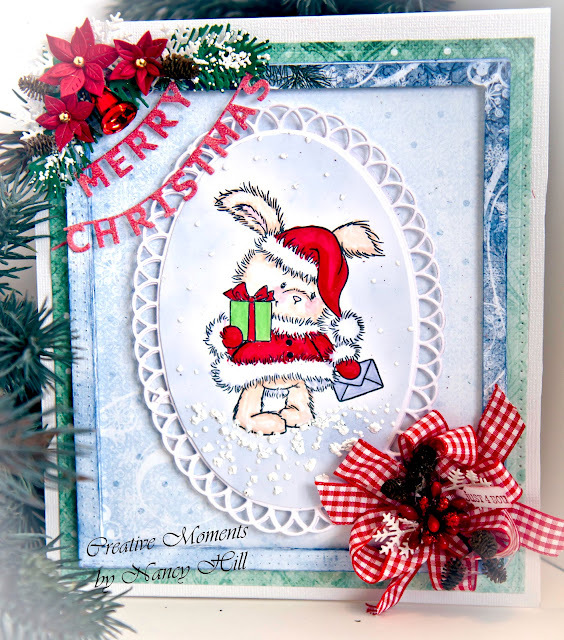 I cut out the Heartfelt Creations Eyelet Oval decorative die with white cardstock and glued the bunny image on top. 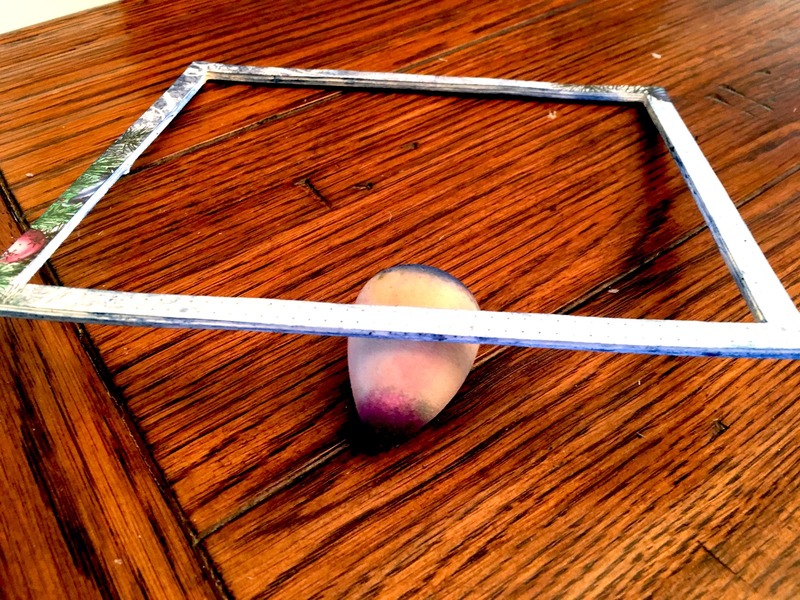 I used Scrapbook 3D foam adhesive tape to glue the decorative die to inside of the frame. I applied drops of Aleene Fast Grab glue around the Christmas Bunny and sprinkled on Stampendous Chunk White Deep Impression Embossing Enamel. After shaking off the embossing enamel that wasn't stuck to the glue, I used an embossing gun to the embossing enamel. I love this embossing enamel when I want to make the snow appear to be 3D. 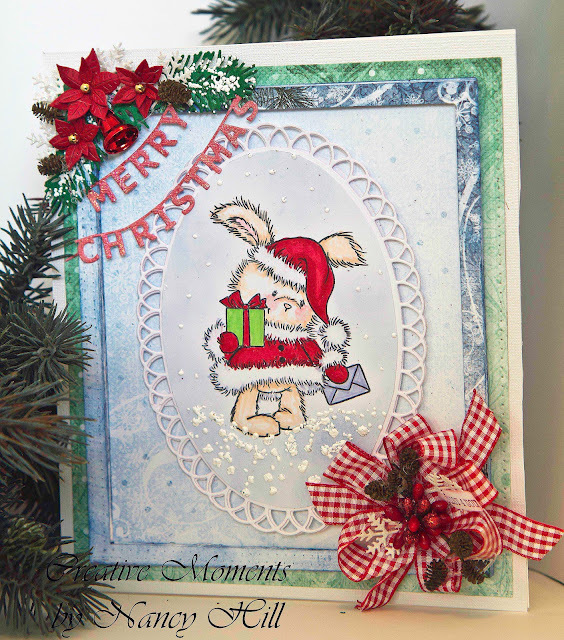 I added the Poppy Stamp Merry Christmas Banner on the left corner and Frantic Stamper Petite Poinsettias die set. The pine branch die was cut with green cardstock and I sprinkled more embossing enamel to make it look like it has snow. I made a floral bow and found some tiny pine cones and glued these pine cones with a hot glue gun to the bow along with red star foam flower spray. 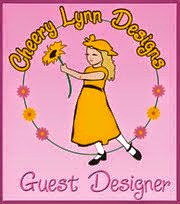 I can't wait to see the possibilities that you will create making a wreath. You can purchase these dies and supplies from The Rubber Buggy on-line store.